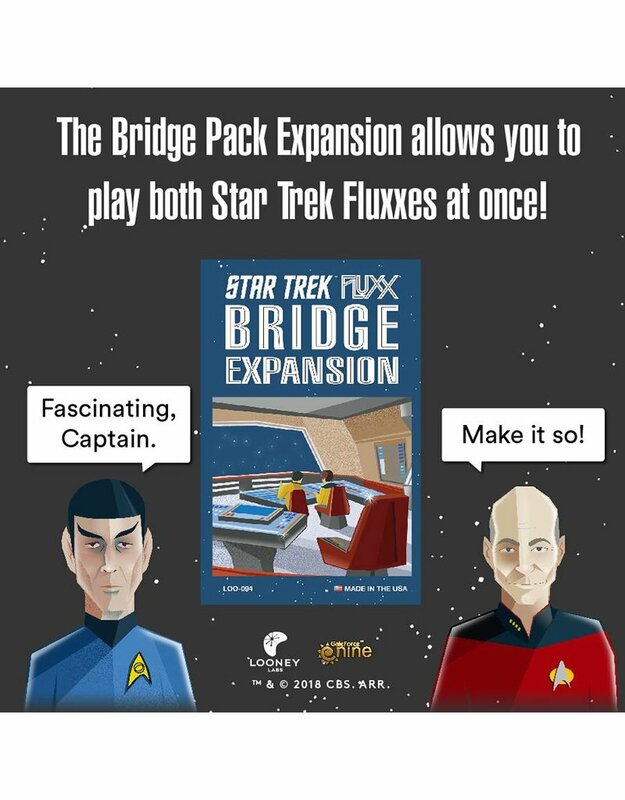 Want to shuffle your Star Trek Fluxx together with your Star Trek: TNG Fluxx? Great! We designed them to be combined! And the 12 Bridge Pack expansion cards make it even better. The Bridge Keeper lets you take control of either Enterprise, and a host of new Goals let Kirk meet Picard, Spock meet Data, and the Past meet the Future!